The GDPR is a EU regulation that protects the privacy of all individuals within the European Economic Area and Switzerland. 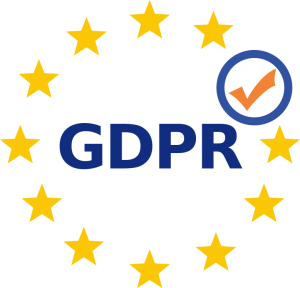 The EU’s General Data Protection Regulation (GDPR), also known as DSGVO in German, and RGPD in French, is a regulation that applies to companies, non-profit organisations, and public entities worldwide to strengthen data protection for all individuals within the European Union (EU). Learn how Matomo Analytics can help you be compliant with the GDPR. How is Matomo Analytics GDPR compliant? Matomo can be configured to automatically anonymise data so you don’t process any personal data. This allows you to completely avoid GDPR. If you decide to process personal data, Matomo provides you with various features to easily comply with the GDPR guidelines. Right of access allows your visitors to get access to their personal data. Right to data portability provides your visitors with their personal data in a machine-readable format. Right to erasure respects the privacy of your visitors by deleting their personal data. Anonymising features is a one-click feature to anonymise personal data such as IP address, location, and more. Supports “Do Not Track” Matomo optionally applies the privacy settings defined by browsers. Delete historical data automatically deletes historical data from your database. Anonymise historical data keeps your historical data by anonymising it. We offer solutions and services to help you create a Matomo configuration that’s ready for GDPR compliance. As the world leaders when it comes to privacy and customer data, we are looking forward to providing support for our analytics platform to help you achieve GDPR compliance easily. Learn more about all the features in our GDPR user guide and privacy user guide. Learn more about GDPR through our blog posts. Feel free to create a new ticket in our issue tracker to request a new feature. You can find the list of all opened Matomo tickets here. Any suggestions for improvements are warmly received and appreciated.